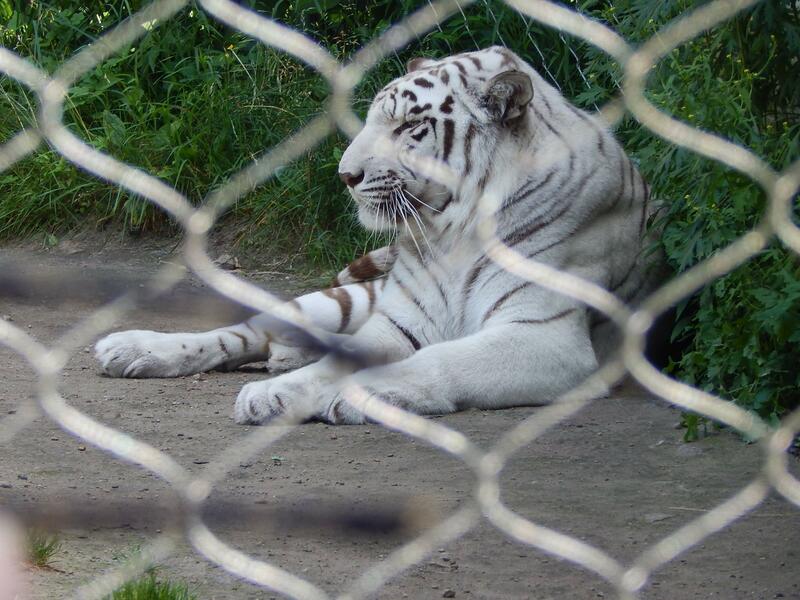 We saw this magnificent white tiger in a wildlife rehabilitation center in the United States. I don't like seeing animals out of their natural habitat, but all of these animals were rescued from circuses or zoos, and are not able to be returned to the wild. Usually these places have signs by the animal enclosures so we can learn about the animals, but I didn't see any information there. This especially intrigued me because I don't think I've ever seen a white tiger before, even on television. Where does this breed of tiger usually live? What are some other important facts about it? White Tiger Classification and Evolution The White Tiger (also known as the White Bengal Tiger) is a subspecies of Tiger, found throughout the Indian subcontinent. 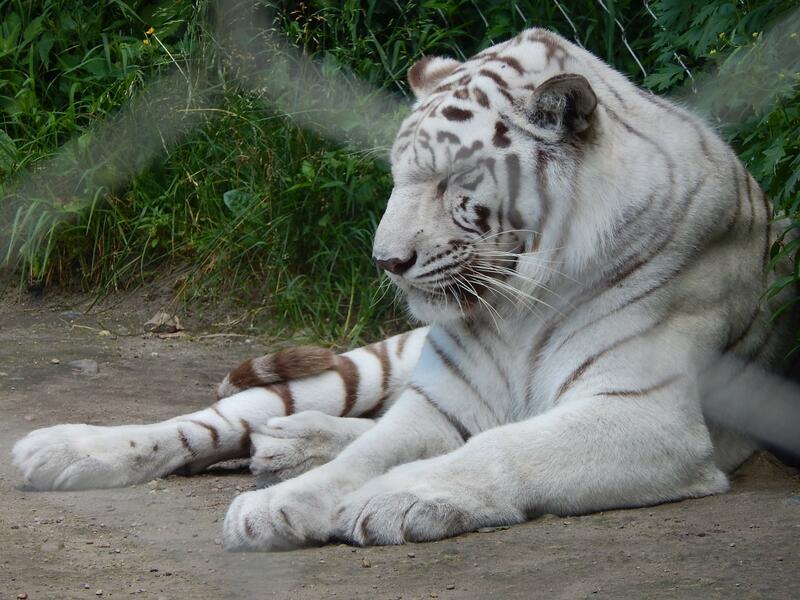 Although the range of the White Tiger is historically very large, these animals are incredibly rare as their colouration is dependent on a defective, recessive gene that is passed on from their parents. A fellow cat-lover sent me an e-mail nearly two months ago about a "pale tiger" that had just been photographed in the wild. Animal spotted by photographer in jungles of southern India may be the fairest known tiger living outside captivity. Not the answer you're looking for? Browse other questions tagged animals tigers or ask your own question.